The Nissaki Beach hotel is situated alongside the beach in a spectacular natural environment, in Corfu. 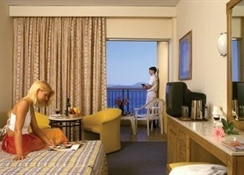 It consists of 239 rooms designed to offer guests comfort and services. 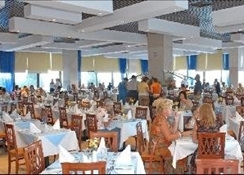 The restaurant, the swimming pool with separate section for children, the pool bar, the playground and the other hotel facilities makes it an ideal choice for unforgettable holiday. 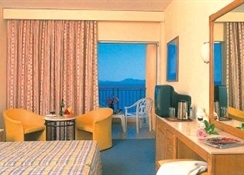 The hotel is 2,5 km from the Nissaki village and approximately 23 km from the town centre and the airport of Corfu.